Welcome to the website of the Community, Youth and Playworkers in Unite! Formerly the Community and Youth Workers’ Union (CYWU) and now part of Unite the union, the biggest trade union in Europe. As part of the Community, Youth Workers and Not for Profit Sector, our members are either working or training to work with children, young people and communities in statutory or voluntary settings. This website offers access to information for both members and non members and if there is anything you would like to see here please contact us. CYPW annual conference takes place this year at St Martin’s College, Lancaster from the 5-7th April and will offer a range of seminars, expert panels and workshops facilitated and delivered by key professionals in the field, and the wider youth sector. Contact Kerry for more information. 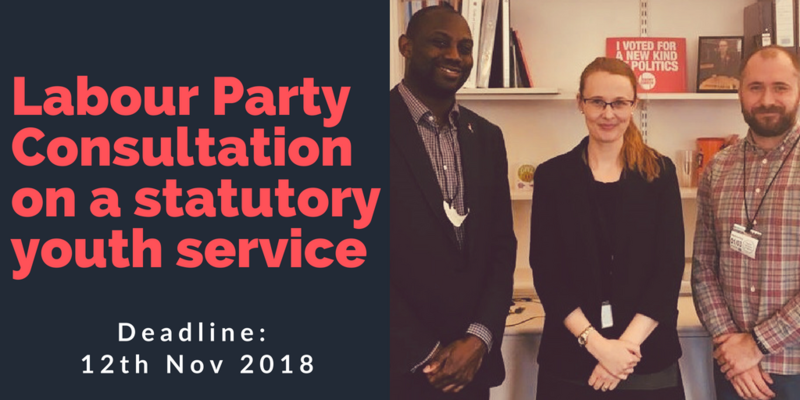 CYPW Unite has submitted its response to the Labour Party Consultation ’Building a Statutory Youth Service’. As the leading trade union for community, youth and playworkers, with thousands of members across the United Kingdom, we continue to work tirelessly to campaign for an end to the destruction of community, youth and play services. The Unite response to Building a Statutory Youth Service can be downloaded here. Youth and community workers, members of Unite, along with staff side unions have voted to accept a two year pay deal starting from September 2018. Unite members voted overwhelmingly in favour of the two year JNC (Joint Negotiating Committee), pink book pay deal with a 90 per cent majority. The deal gives workers a pay boost of two per cent in 2018, with a further two per cent in 2019. The lowest paid workers on pay bands 7 and below will receive in excess of two per cent over the two years. You can download the pay scales here. For a statutory youth service! The Labour Party will soon be launching the results from its consultation into a statutory youth service. More here when we get it. More information is available here. The full claim can be accessed here. Please let us know what is happening in your local authority or organisation. We know that many members and branches are facing huge threats to youth and play services across the nations. Please let us know what is happening in your area so that we can keep an overall view of the cuts and of the fight that is needed. We remain active supporters of the ChooseYouth campaign and you can read about recent developments, particularly with regard to Labour Party support for a statutory youth service on their website. You can also follow the ChooseYouth campaign on social media. To get started, just click "Like" on the top of the page and their postings will appear in your newsfeed. We have a number of research reports available that despite being written some years ago are still useful reference points for consultation responses. Play is a serious business examined the impact of cuts for playwork and puts forward Unite’s view that it is a child’s right to play; and part of this right should be to experience good quality, staffed, local play provision that is free to all. We believe this has intrinsic value to children and has positive wider benefits for parents, young people and local communities. Valuing Youth Work from the NYA is still a useful resource and contains case studies of local authority-funded projects in Birmingham, Devon, Hartlepool, Hounslow, Plymouth, Portsmouth, Rotherham and the Wirral. Each example shows how organisations and councils can work together to provide services covering health, citizenship, participation, and training and education, and the positive impacts such work has on young people. The Benefits of Youth Work written in conjunction with LLUK and Unite and researched by staff at the National Youth Agency is slightly dated now but still widely used and sets out in simple terms the reasons why our work is important, why it is cost effective and how it makes a real difference to young people`s lives. Visit the Unite the Union website and see what Europe’s biggest union is doing to support it’s members. The website has a dedicated section for the Community, Youth Workers and Not for Profit Industrial Sector and direct links to this website. Rapport Magazine - Hot of the Press! 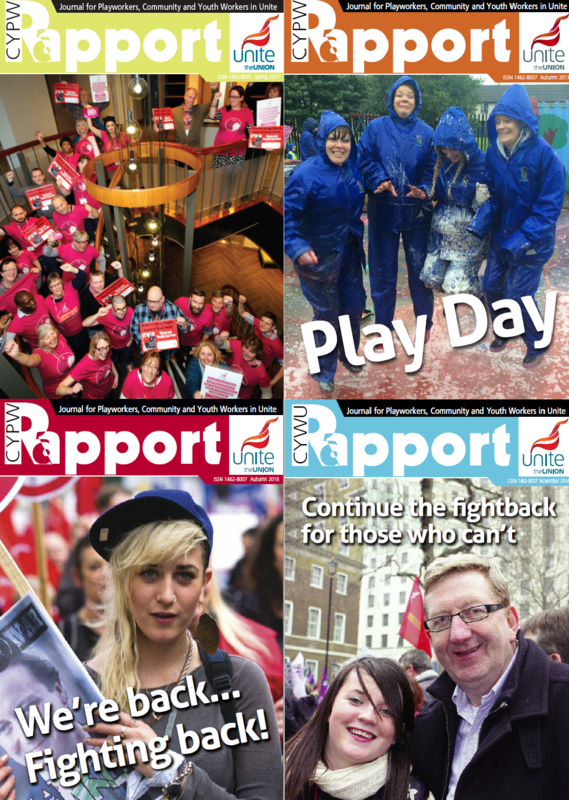 The very latest version of Rapport is available above as an electronic publication. Further back issues are also now available in this format here. There are also limited numbers of hard copy magazines available and please contact Kerry to make enquiries.